Jan. 9, 2014 4:00 p.m. Most people living in the Leduc area have heard of Robert Telford, Dr. Robert Woods, or William F. Lede. These men made major contributions to the development of Leduc. However, the development of Leduc didn’t solely rest in the hands of these and other well-known citizens, but also in the work and efforts of hundreds of lesser know individuals who perhaps were only heroes in the eyes of their family members. Every day they awoke and went about their business in making their and their families lives a little bit better than when they rose from their beds that morning. Men like Paul Therriault, Jack Murray, Rev. T. Thompson Reikie, and John McEachern and his son Malcolm are just some of the hundred or more people who came to Leduc and left their mark on Leduc’s development without much fanfare. Paul Therriault was born in New Brunswick and by the time he was 14 he was working on a ranch in Montana. In 1893 he helped drive a herd of horses from Montana to Edmonton. By 1896 he was a proud owner of a homestead three miles west of Leduc. He also had a wife who was a twin daughter of Dr. and Mrs. George Verey, the first doctor and teacher of Edmonton. By 1899 Paul and his wife, Catherine, had enough of rabbits and mud and decided to leave the homestead and became Leduc’s first Liveryman when he open up a livery and feed stable. He built the stable north of the Southerland Block not far from the railroad depot. Paul would eventually sell the operation to Edward Southwick who in turn sold the property to Leduc Motors. In addition, Paul built a home on Telford Street later it would become the Alberta Government Telephone (AGT) first exchange. By 1923 horses were being pushed out by the auto and Paul decided it was time to return to the land and bought a homestead in Telfordville and later in Breton. Paul and Catherine had seven children born in the Leduc District and some remain, to this day, in the district and continue to contribute to Leduc’s development. Jack Murray and Joe Gornick didn’t know how valuable they would be when they first arrived in the Leduc district but it wouldn’t take long to find out. Both arrived during a time when fresh water was getting harder to find and when the demands for clean water had increased to almost desperate levels. Jack settled in the Michigan Centre district and his ability to dig a well faster and better than most and had an uncanny way of discovering water below ground. Jack found plenty to do around Leduc and that set the stage for Joe Gornick who had established a homestead in Conjuring Creek. Joe could dig down 17 feet in a day. Joe was a small German and could dig all day and remain cheerful while the workers hauling away the dirt would be exhausted by day’s end. In 1906 when Reverend T. Thompson Reikie and his young bride Eleanor Brown stepped off the train in Leduc he made an immediate impact. His six-foot plus height made him stand out in a crowd, but it was his personality and his willingness to go where and whenever he was called for his services that impressed Leduc citizens. The Reverend and his wife took over the St. David’s Church but he also travelled to Clearwater, Ellerslie and everywhere in between to provide church services. With the limited availability of church leaders many churches would share a minister. As a result Rev. Reikie would become known as the area’s first “United” minister years before the United Church was formally organized. After his six-year mission came to an end he and his wife moved to Edmonton and remained there until his retirement. 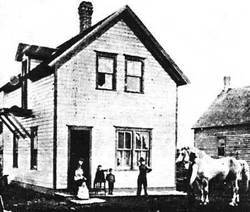 Widower John McEachern and his son arrived in the Leduc area just before the railroad arrived in 1891. They had left Eldon, Ontario and filed homesteader claims just two miles southwest of where the proposed railroad station and siding was to be built. While they built a log cabin on Malcolm’s homestead near the “cut line” (now 50th Avenue) they stayed at Telford’s new Stopping Place. They became Leduc’s first official homesteaders when they moved into the completed log cabin. The two of them continued to “batch” until Malcolm met Elizabeth Anna Klein and married in 1896. After Malcolm married John decided it was time to remarry and moved into Leduc. Malcolm was a hard working individual and quickly developed his farm. His progressive outlook led him to acquire one of the first threshing outfits and with his brother-in-law would thresh neighbor farmer’s crops at a cost of 2 to 3 cents a bushel. McEachern was a quite individual and well liked. He had earned the respect of his neighbors when he would trudged his way through deep snow and sub zero weather to do a job for his neighbor. For nearly twenty years he and his family had lived in a log cabin, but in 1910 he built a frame house, which they lived in until 1942 when Malcolm passed away. None of these men have a park or a street named after them and they wouldn’t be bothered by that fact. They came to Leduc to improve their lives and others and were not looking for recognition. They just went about their day trying to make things better, be it a well for drinking, a message from God, a horse to ride, or help in getting a crop off a field. Each in their own way contributed to the development of Leduc’s early history and the tradition of helping their neighbor. 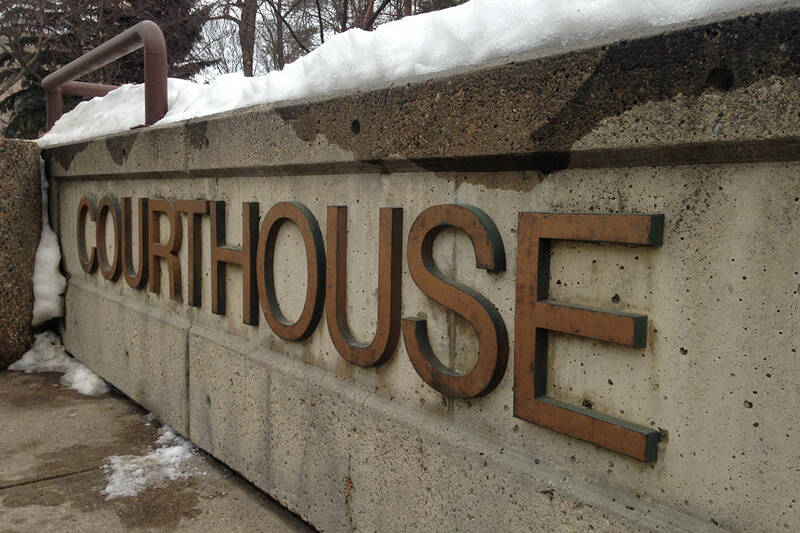 They are among the long list of Leduc’s unsung heroes.